This weekend is a Birthday celebration at The Lilypad. Everything in the store is 30% off through Monday, January 18, 2016. And there is a Free With Purchase kit as well (see below). 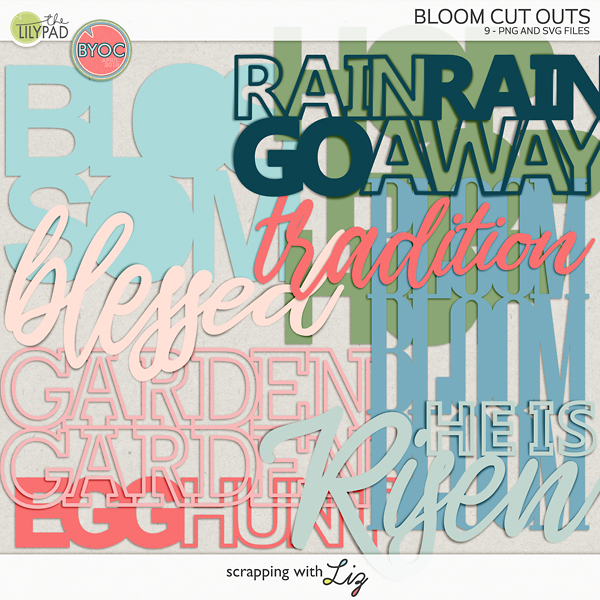 Liz has several new releases to help celebrate, including some templates that we can use for scrapping recipes all year long. I think a recipe book would be an amazing Christmas gift for family! And we can work on it a little bit all year long and it will be all ready for printing at the end of the year. 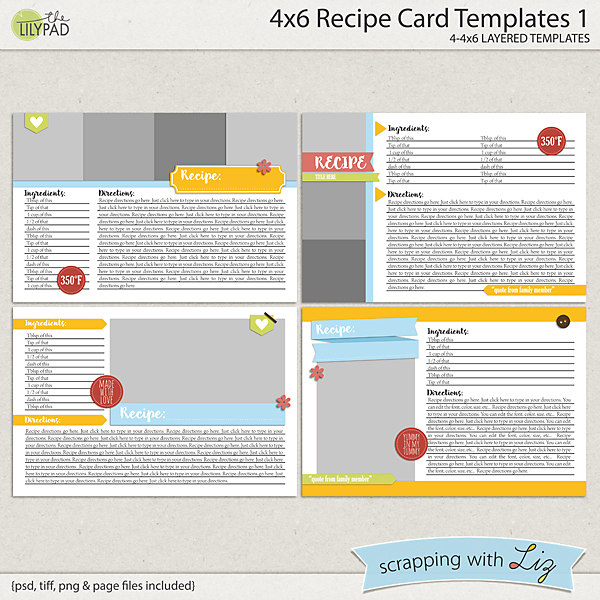 8.5x11 Recipe Book Templates 1 and 4x6 Recipe Cards Templates 1 are both just the first set in these lines. Liz will add more throughout the year. And Donna will be hosting a recipe challenge to help us stay on track with our projects. 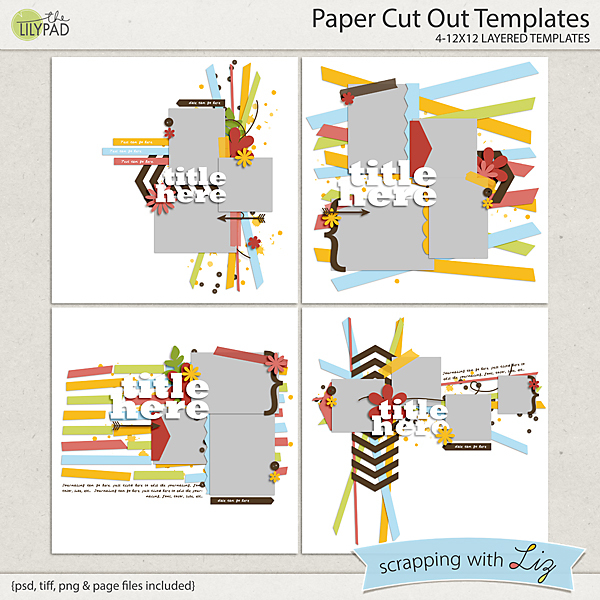 Paper Cut Out Templates is a fun set with lots of paper pieces layered up in the background. These were included in a past edition of The Digi Files. 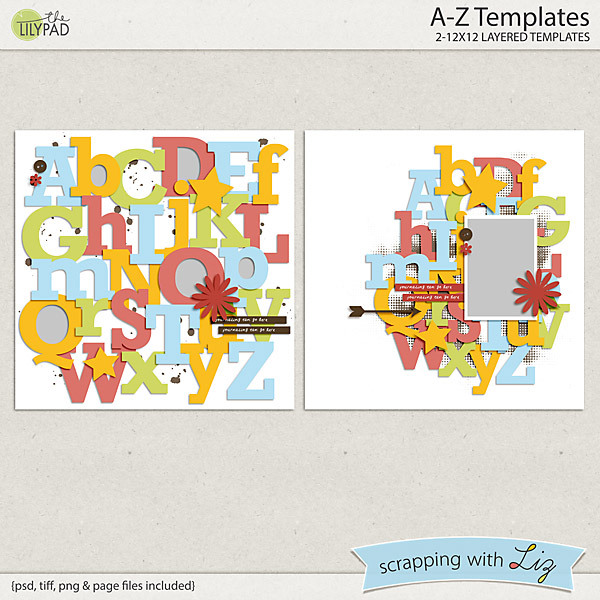 A-Z Templates both have cute layered alphabets decorating the page. 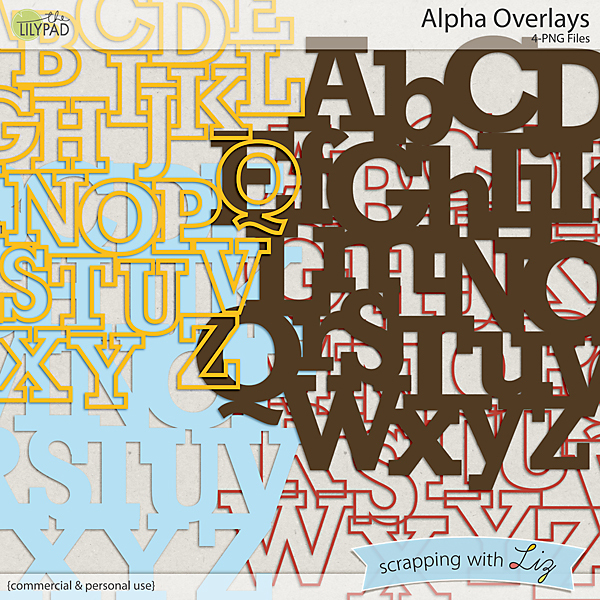 And finally, Alpha Overlays has four different presentations of alphabet arrays. 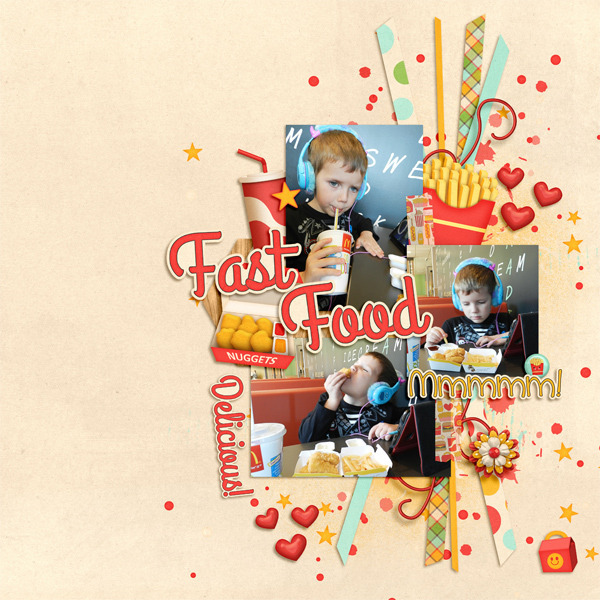 These are large overlays that nearly cover a 12x12 background. They are perfect for scrappers or for designers to use in kit creations. Rebecca used the A-Z Templates to make a cover for a baby's first year album. 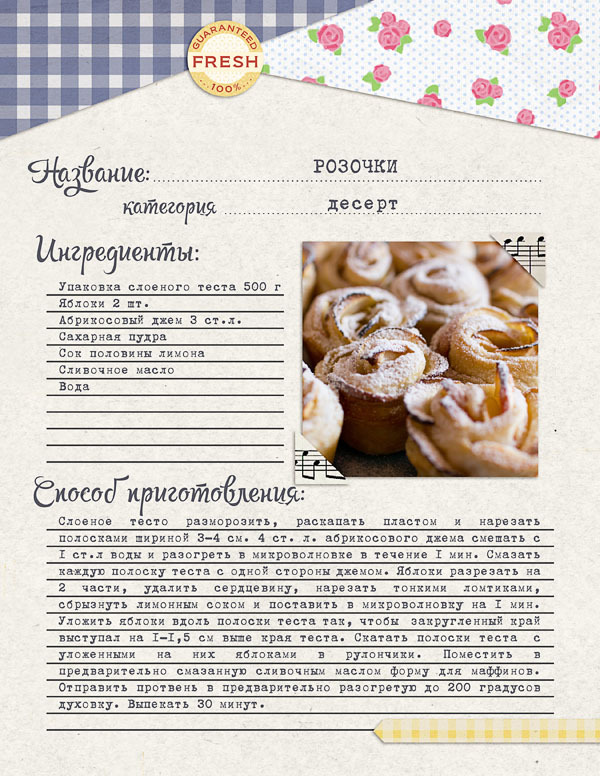 Katya made a beautiful page for her recipe book with 8.5x11 Recipe Page Templates 1. And I love how Christine used the Paper Cut Out Templates. Those angled paper strips look just like shoe string french fries! And here's the gorgeous kit you get if you spend $15 towards the store. All the new designers contributed, including Liz. 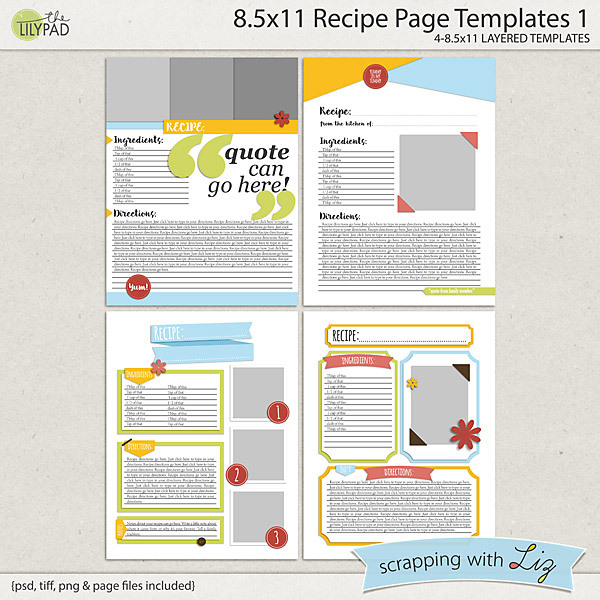 You'll find a template in the download that I just love. It's a great weekend to do some shopping! The winner from Wednesday's giveaway is....Lorry Lee! Congratulations. 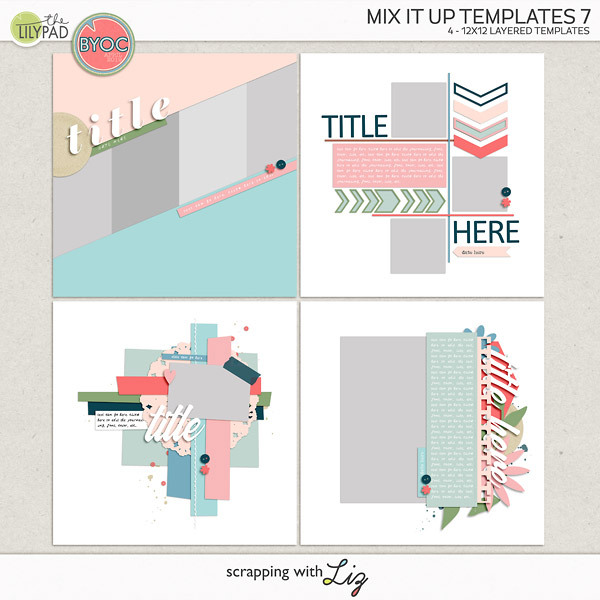 Sneak Peek & 50% OFF 2 Template Sets TODAY ONLY!